The increasing environmental problems and energy challenges have attracted urgent demand for developing green, efficient and sustainable sources of energy, as well as new technologies associated with energy conversion and storage systems. Among various energy-storage devices, Li/Na ion and metal-air batteries, and supercapacitors as advanced power sources have evoked a plethora of research to meet the growing demands of portable electronics and electric vehicle thanks to their high energy density and long cycle life. In the energy-conversion systems, solar cells and fuel cells are considered as mainstream renewable energy resources once their manufacturing cost has decreased to an affordable level. However, the development of advanced power sources relies heavily on advances in materials innovation. Exploring new materials with high performance is therefore highly desirable to satisfy the widespread energy applications. Nonferrous metals and related element-containing composites have been a hot topic among the studies on new materials for these devices due to their unique crystal and electronic structure, variable valence state and rich surface defects, etc. For example, lithium/sodium metal oxides/phosphates are the main cathode materials for Li/Na ion batteries; metals and corresponding oxides possess excellent catalytic performance for metal-air batteries as well as fuel cells and they also can be used as anodes for Li/Na ion batteries; silicon is one of main materials for optoelectrical conversion. Compared with their micro or bulk counterparts, nanostructured nonferrous materials have attracted considerable interest both in fundamental and applied research because of their outstanding physical and chemical properties. Using nanomaterials as electrodes in Li-ion/Na-ion batteries and supercapacitors is very promising due to that nanomaterials can effectively reduce the ionic diffusion time and can provide more active surface area for ions to interact with, thus allowing much better rate capability. In addition, nanomaterials have exposed active sites, enabling the enhancement of catalytic performance for oxygen reduction and evolution in metal-air batteries and fuel cells. Moreover, nanomaterials have been found to have quantization size effects and unique optoelectrical properties. Although nanomaterials generally improve the performance, it is still inadequate in preventing structural degradation and performance decay. 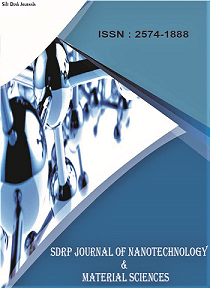 • Theoretical and experimental understanding of the relationship of structure and performance, and the structure evolution during the electrochemical reactions of the related materials.